At 20 million views, Dr. Jill Bolte-Taylor’s TED Talk called “My Stroke of Insight” is one of the most poplar TED presentations online. As a result of her talk, the Harvard-trained neuroanatomist was chosen as one of TIME magazine’s most influential people and appeared on Oprah’s Soul Series. Dr. Bolte-Taylor once told me her “conversational” delivery took practice–and a lot of it. She rehearsed her presentation 200 times before delivering it on stage in a front of a live TED audience. As it turns out, she did exactly what her fellow brain scientists recommend. Dr. Sian Beilock is a professor of psychology at the University of Chicago. For her book, Choke, Dr. Beilock examined individuals who perform their best when it counts the most. She also studied those who falter–they choke when the stakes are high. While much of Beilock’s work at the Human Performance Lab involves athletes, she applies the research to public-speaking events such as making a pitch to a client, delivering a presentation, or giving a TED-like talk. Beilock’s research concludes that the best way to avoiding choking and to deliver the presentation of a lifetime is to practice under stress. “Even practicing under mild levels of stress can prevent you from choking when high levels of stress come around,” writes Beilock. TED speaker Amanda Palmer is a musician and performance artist. As a performer, she knows how important dress rehearsals are to the final outcome. Palmer stole the show at TED 2013 with her presentation “The Art of Asking,” which has received nearly 9 million views. Palmer prepared exactly as professor Beilock would have recommended. First, Palmer spent countless hours over four months to build and practice her 14-minute talk. She wrote and re-wrote, timed and re-timed, tweaked and practice. In a blog post after the event Palmer thanked more than 100 people who she had asked for feedback or who watched her presentation rehearsals. Palmer would read the drafts out loud to a group of people. If they seemed to be bored, she’d go home to re-write. She practiced in front of anyone who would listen. She told the story to a bartender and a passenger next to her in a plane. She held potluck dinners and invited friends to watch and offer feedback. She delivered it to a class of students. Finally, Palmer performed it twice for the TED team. Palmer’s preparation confirms Beilock’s theory: a winning presentation doesn’t happen without feedback and a comfortable performance doesn’t happen without hours and hours of practice–preferably, in front of an audience. 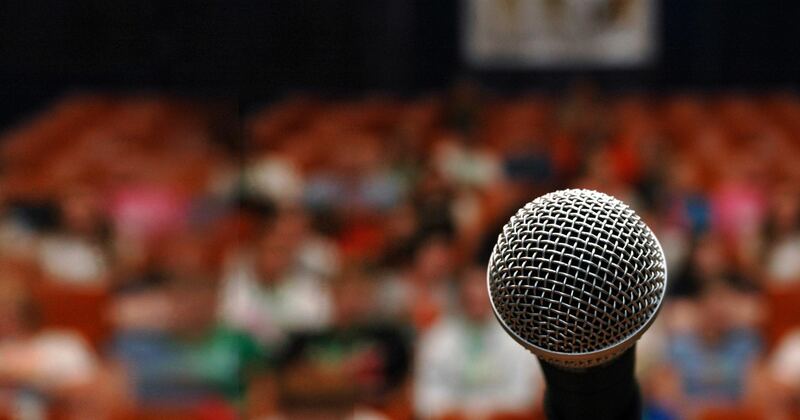 Before you deliver a presentation, sit for a job interview, or give a TED-style talk, ask yourself: Have I put in the reps have I done so in front of an audience? 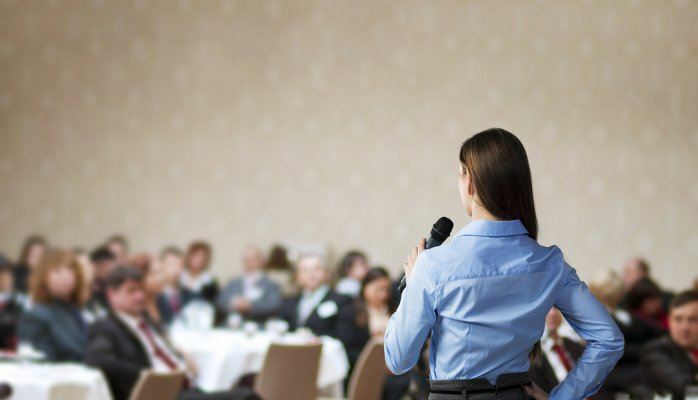 There are no shortcuts to mastering a skill like public-speaking. Practice is good, but practicing under stress is even better.